At the 2017 Annual AAPS Meeting our Student Chapter was presented with the Honorable Mention for Student Chapter of the Year Award! Congratulations to all officers and thank you for their hard work! Thank you to Ashley for accepting the award on our behalf! On Saturday November 11th, several members of our AAPS student chapter participated as workshop presenters at the 13th Annual GEMS – Girls, Engineering, Math and Science Event. 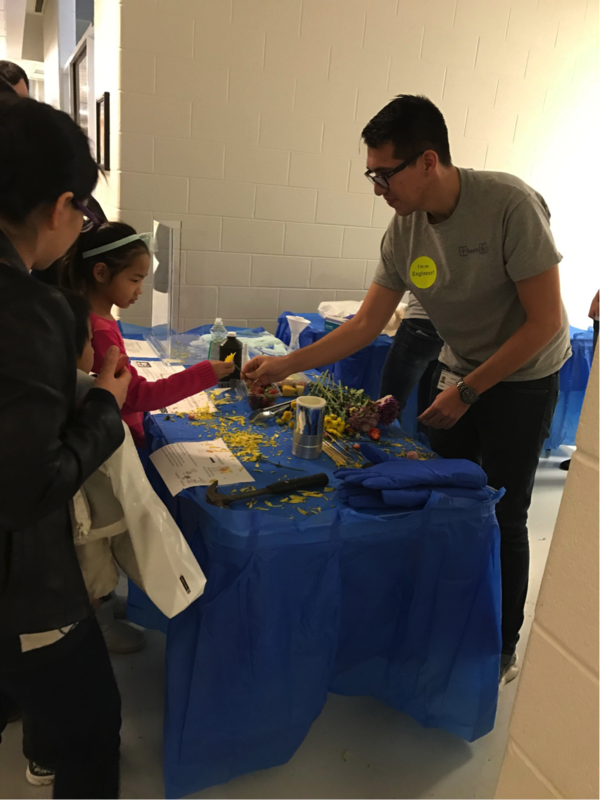 The workshop was called “The Chemistry of Fruit,” and provided a hands-on lab activity where girl scouts determined how much Vitamin C was in various fruits. 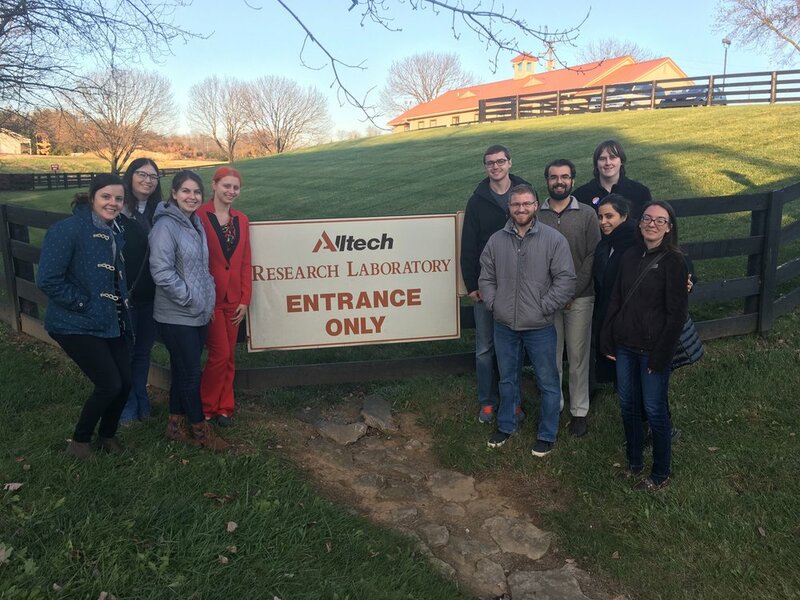 On November 10th, the UK College of Pharmacy AAPS student chapter visited the Alltech headquarters in Nicholasville, Kentucky. They had the opportunity to tour the local biotech's research labs, and learn of their ventures into the beer and bourbon industries. On September 29th our AAPS chapter hosted a publishing seminar featuring distinguished faculty: Dr. Kimberly Nixon, Dr. Bradley Anderson, Dr. Sylvie Garneau-Tsodikova, Dr. Kip Guy, and Dr. Joseph Fink. They gave valuable advice on best publication practices, selecting the right journals, and how to address reviewer's comments. 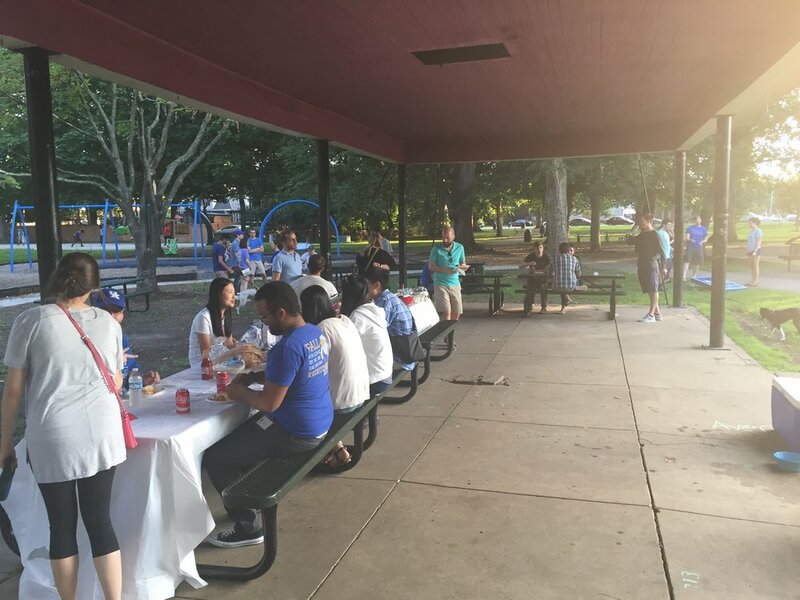 On August 24th, our AAPS student chapter hosted a potluck-style picnic to welcome the new incoming graduate students to the program. We had a great turnout with many students and faculty in attendance, as well as some friendly dogs. Thank you to all of those who brought in all of the delicious food and also to those who helped to set up the event! On August 17th, some members from our AAPS student chapter joined in on the orientation for new incoming graduate students hosted by the department. We had a chance to meet the new graduate students and answer some of their questions about life in Lexington, research labs, restaurants, etc. We also had the opportunity to present the new graduate students working in wet laboratories with new personalized lab-coats. We hope to see lots of great work from all of the new graduate students in the coming years! On August 2nd, 2017, 18 graduate students attended an AAPS student chapter sponsored field trip to Oak Ridge National Laboratory (ORNL) in Oak Ridge, TN. At ORNL, we had a full day trip that included a tour of several facilities including the High Flux Isotope Reactor (2nd in the world in neutron output), as well as the supercomputing space which houses the TITAN supercomputer (4th in the world in computing speed). We also had a chance to tour the Spallation Neutron Source led by Dr. Christina Hoffman and Dr. Alexander Kolesnikov. Overall, we had a great time and enjoyed visiting a national lab and learning about some of the interesting research possible with the use of neutrons. 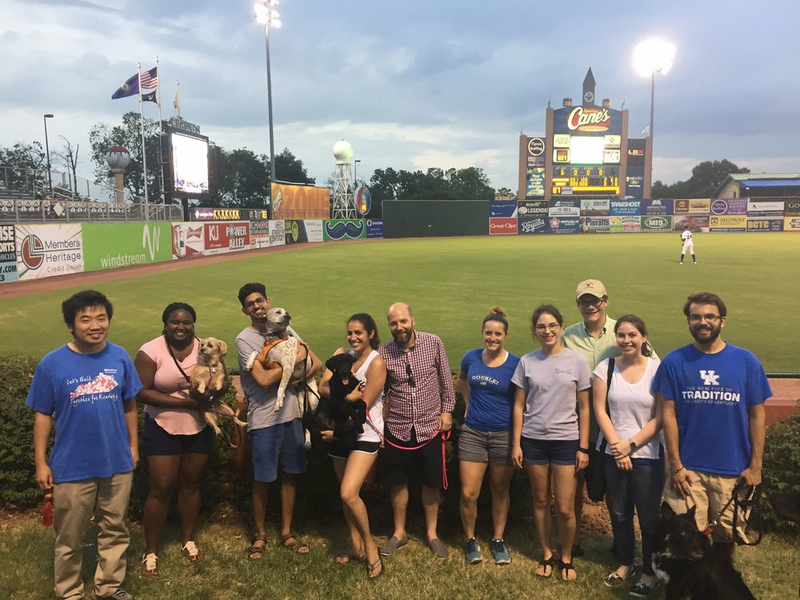 On July 27th our AAPS student chapter hosted a social event at the Whitaker Bank Ballpark to watch the Lexington Legends take on the Kannapolis Intimidators. We were glad to have Dr. Vincent Venditto join and overall we had a great time. Also, the Legends hosted “Bark in the Park,” so students were encouraged to bring their furry friends with them to the park. On May 23rd our AAPS student chapter put together a seminar focused on good interview practices featuring UK alumnus, Dr. Adrian Raiche. Dr. Raiche graduated from the University of Kentucky in 2002 with a Ph.D. in biomedical engineering and has since held an impressive number of positions at a host of different pharmaceutical and biomedical companies. Currently, he works as the formulations director for Piramal Pharma Solutions, one of the top ten worldwide contract drug manufacturers. Dr. Raiche talked about what industrial careers look like and how to successfully develop a career in industry. On May 13th, 2017, the American Heart Association hosted their annual Central Kentucky Heart Walk at Keeneland Race Course. We had three students Markus Tiitto, Dalia Haydar, and Nader El-Seblani, participate in the 5K walk. As a chapter, we raised $520 for the American Heart Association and supported a cause that is important to members of the UK College of Pharmacy. 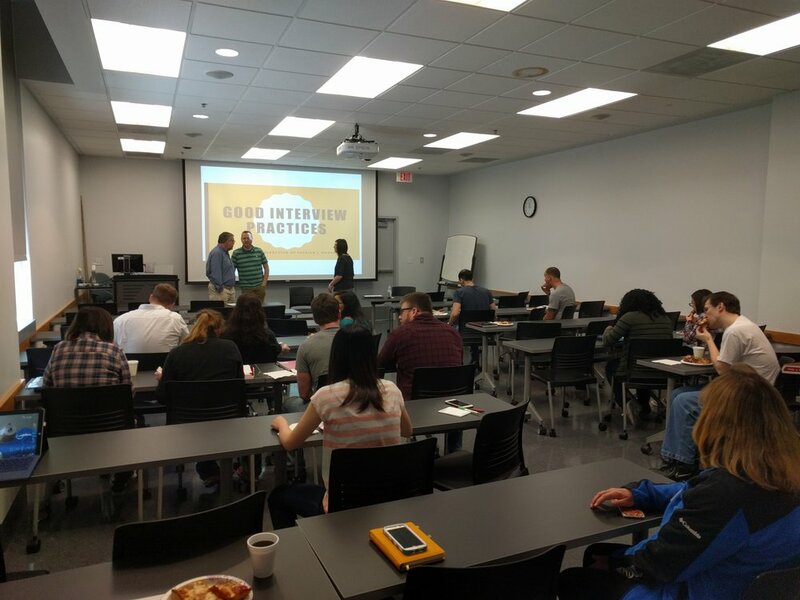 On April 10th our AAPS student chapter put together a seminar focused on good interview practices. We would like to thank all of the faculty and staff that helped make this event possible! Nicole Keenan, who is the Director of Student Success and Career Development, offered up general resume and interview tips. Dr. Patrick Marsac, who previously worked at Merck, gave insights on interviewing for an industry job. Dr. Jim Pauly, who has led a faculty search committee, gave his perspectives on interviewing for an academic job. At E-Day hosted by UK's College of Engineering, we a booth titled “Flash Freeze.” We used liquid nitrogen to flash freeze flowers and fruit to demonstrate the concept of an amorphous glass. After the flowers were frozen fast by the liquid nitrogen they become amorphous and brittle. The students were able to crush the flowers with their hands to demonstrate the changes in the material properties. We also demonstrated the use of enzyme catalysis by performing the “elephant toothpaste” demonstration, where yeast is used to convert hydrogen peroxide to oxygen and water.